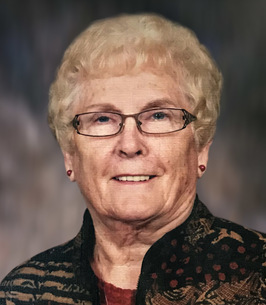 On November 6, 2018, Mrs. Rose Prochinsky of Fort Saskatchewan, AB, formerly of the Delph Area, passed away at the age of 84 years. Rose is survived by her son, Ken Prochinsky; two daughters, Bonnie (Milton) Hruschak and Kimberly (David) Movold; four grandchildren, Melissa, Darcy (Amy), Daneka and Sydney; two brothers and two sisters; special friend, Walter Oshust; and numerous nieces and nephews. Predeceased by her husband, Steve; and parents, Steve and Ann. Divine Liturgy Friday, November 9 at 10:00 a.m. at the Presentation of the Blessed Virgin Mary Ukrainian Catholic Church, Delph, AB. Basilian Fathers officiating with interment in the Church cemetery. In lieu of flowers, donations may be made to the Presentation of the Blessed Virgin Mary Ukrainian Catholic Church. Our condolences to Rose's family. To Bonnie et al, You are in our thoughts and we are sad for you as you grieve for your mother. Memory eternal.